Tax Free: Importing Household Goods into Bolivia Duty Free. Return to Bolivia. Bolivia's Retorno a Bolivia (Return to Bolivia) program allows for the importation of household goods into Bolivia, tax free. The program is a special customs import preference which was initially established only for Bolivians, or foreigners with Bolivian spouses, who have lived outside of Bolivia for 2 years or more, and wish to return to Bolivia. In 2013 the Bolivian government expanded the program to include foreigners (even if not married to a Bolivian) who meet the steps, requirements and restrictions, to allow them import their household goods tax free as well, however, for a lesser amount. A very special thank you to the Consul General of Bolivia in Houston, Texas, for having the kindness and patience to spend an inordinate amount of time explaining this program, and how it works, to us so that we can share it with you. •Up to $35,000 (THIRTY-FIVE THOUSAND AND 00/100 U.S. DOLLARS) FOB value including only kitchenware, household items, clothing, furniture, appliances and other items normally used in a home. •Up to $50,000 (FIFTY THOUSAND AND 00/100 U.S. DOLLARS) FOB value when household items also include machines, equipment and tools used by them in an activity or occupation. Within this amount, the import of machinery, equipment and tools may not exceed $25,000 (TWENTY-FIVE THOUSAND AND 00/100 U.S. DOLLARS). FOB : Cost of goods (household items) plus the means of transportation. If the value of the household goods exceeds these limits, the excess amount (remainder) is subject to payment of all customs duties that apply. For foreigners with no family or marriage ties to Bolivia, who wish to benefit from the Return to Bolivia program, the steps are the same, but the maximum amount that may be imported is $35,000 (THIRTY-FIVE THOUSAND AND 00/100 U.S. DOLLARS), according to Government of Bolivia Supreme Decree NO. 0371 on the importation of household good. •Sworn Affidavit of Domestic Household Import (Declaración Jurada de Ingreso de Menaje Doméstico), a form that must be filled in online on the Bolivian National Customs website HERE. A copy printed and signed by the applicants must be filed with the Consulate General of Bolivia for validation in the computer system of the Bolivian National Customs Authority. •Passport attesting the individual or family lived abroad (not in Bolivia) for at least two (2) years prior to the date of return (temporary visits to Bolivia that occurred during their time living abroad must not have exceeded ninety days per calendar year during that time) or official documentation in original or certified copy to support the time the family remained abroad. 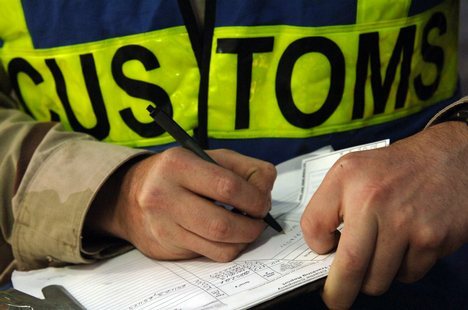 The allowed deadline for the arrival of the household goods to Bolivia is only between one (1) month before, and up to six (6) months, after the owner's date of arrival, who will be responsible for customs clearance, which must be done via a single customs agent. The tax free import of household goods does not apply to temporary return trips to Bolivia, and household utensils or goods sent in correspondence and parcels to other people in the country do not qualify. Nor does it apply to vehicles. Click here to read about how to import vehicles or read more about importing household goods to Bolivia. Government of Bolivia Supreme Decree NO. 0371 on the importation of household good.